In this guide we’re going to look at the 5 Best alternatives to PureVPN. So if you’re currently looking for an alternative provider but don’t know where to turn then we’ve done the research so you don’t have to. PureVPN has been getting a lot of negative attention recently after it came to light a cyberstalker was caught who just so happened to be using the PureVPN service, you can read more about that here. While it isn’t entirely clear is how PureVPN assisted the law enforcement involved and it has left many looking for an alternative and safer provider. Below we list our top 5 choices and give reasons why they’re all more suitable for protecting your privacy than PureVPN. All you need to do is pick one and sign up, you really can’t go wrong. First off the good news is Proxy.sh is basically the same price as PureVPN, in fact apart from the PureVPN 2 year package, Proxy.sh is at least 50c or $1 cheaper on both their monthly and 6-month offering. Servers are available in 57 countries which is considerably smaller than the 140 on offer from PureVPN but you have to remember that many of PureVPN’s locations are virtual servers and not physical servers on the ground. 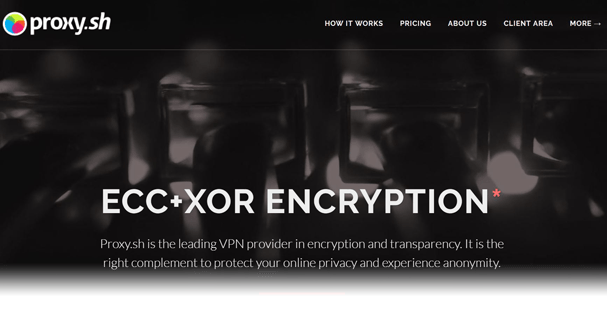 On the encryption front, OpenVPN, XCC and Xor are available and a 4096-bit RSA handshaking key making it one of the most secure VPN services available. One feature we love is the ability to convert your account into token based access, this removes any personal or account details about you and you can login with your token key. Even Proxy.sh don’t know who owns the account, so much so that they can’t help you even if you need to query your account. Proxy.sh claim to log nothing, not even time stamps or connection information which is far superior to what PureVPN log. VPN.ac do store some connection logs but they’re completely honest about what they do log. The good news is they only keep very basic information and that’s only for 24 hours. This is stored in an encrypted undisclosed location. One of the best features of VPN.ac is their speeds, they’re definitely one of the fastest VPN services we’ve tried and outperform PureVPN on the speed front easily. We also love the fact you can have up to 6 concurrent connections which allows you to protect your entire device range and then some more. It’s also 1 more than PureVPN allows. 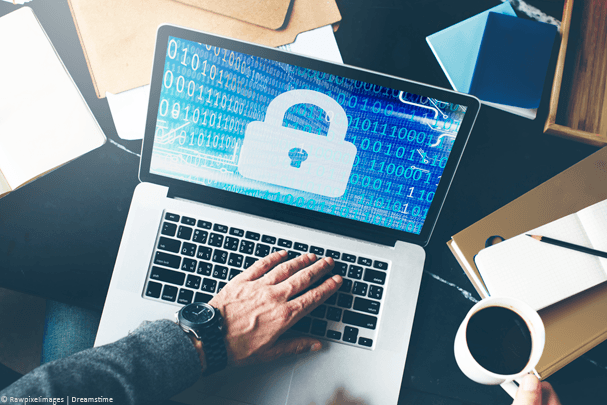 There are a few advanced encryption modes such as OpenVPN XCC and Xor so if you need choice when it comes to encrypting your data that’s certainly available. Just like PureVPN, there are a host of payment options available and there’s even a 7-day money back guarantee if you’re unhappy with the service. IPVanish stick by their zero log claim and state they log nothing of their users’ activity. There have been no negative stories regarding this even with them being based in the US so we have no reason to disbelieve their claims. One of our favourite features of the service is their superb speeds. 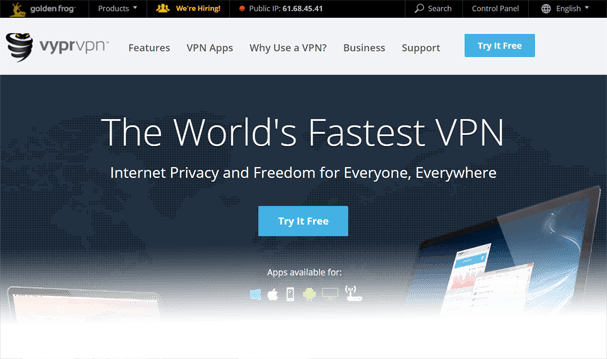 We’ve found very few other VPN services that can match them on speed and with 60 VPN server locations across the globe there is plenty of scope for connection. Software is available for both Windows and Mac computers and there are also apps for Android and iOS devices such as your tablet or phone. We really love the fact they have an Amazon app too so if you have a Fire TV or Fire TV Stick and you have Kodi installed then you can easily protect your online privacy. Connection is possible on 5 concurrent devices which matches the PureVPN limit and further good news is they’re actually cheaper when choosing a 1-month or 1-year package. If you’ll miss the mass of server locations on offer from PureVPN then ExpressVPN is the service you should look to. While they don’t quite have the same number as PureVPN they do have servers and virtual locations in 94 different countries making them one of the biggest in the industry. Our favourite feature without a doubt is the huge 30-day money back guarantee they offer. If you’re a little worried about changing provider then this full month gives you plenty of time to test the service to see if it’s suitable for you. Pricing of the service can be a dollar or two more than PureVPN but if you take a yearly package the price can be considerably reduced. ExpressVPN, unlike PureVPN, claim not to store any connection logs and while they store the dates you connect to their service they don’t store the time, nor do they store your home IP address or the IP address you’re assigned. Essentially this means it should be impossible to link you to any of your activity. VyprVPN might not be suitable for all because they do store connection logs and these are stored for 30-days. The difference between VyprVPN and PureVPN however is they are totally clear about what they log and for how long. The best feature of the VyprVPN service is the completely free 3-day trial. You don’t need to pay anything to test the service, you do however need to enter your payment details but you won’t be charged anything and if you’re not happy with it then you can cancel without any payment being taken. The software and apps on the service are some of the most user-friendly we’ve tested and if you’re a beginner you’ll appreciate the simplicity. Although they do retain some connection logs one privacy advantage is they own all of the servers on their network in over 70 different countries. This means they don’t rent from any third parties so the integrity of their servers should remain intact. If you only want to access geo-restricted content then there is not much to worry about but the fact up until now they’ve remained silent about the whole cyberstalking issue is not going in their favour. Our recommendation would be to jump ship and change to a trusted provider that either store as minimal as possible logs for the shortest amount of time or one that is completely clear and honest about what they do log so you have that knowledge in hand before signing up. We recommend any of the 5 above as they all offer advantages over PureVPN and for the same price or less you will get a better service regardless of which you end up choosing.